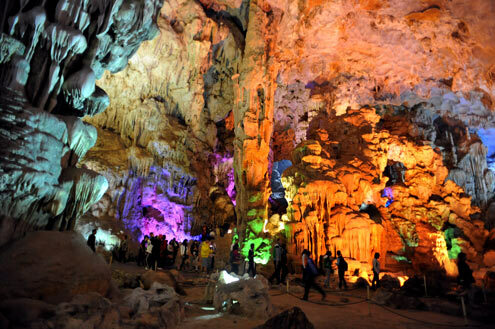 Hang Trong, or Drum Cave, refers to a nearby cave that earned its name as a result of the sound made as the wind blows through its stalagmites... Read more! 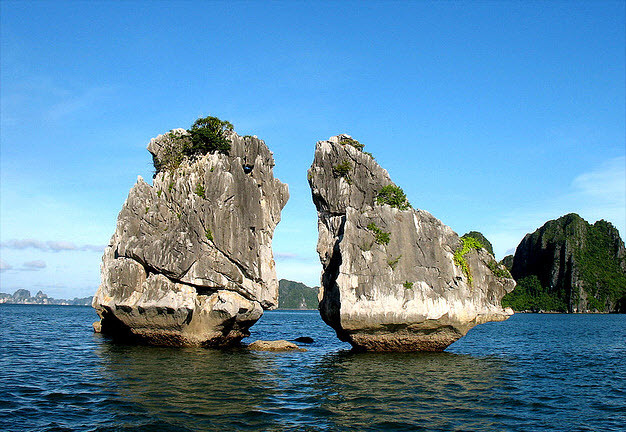 Fighting Cook Islet or Trong Mai Islet is situated on the south-west side of Halong Bay, 5km from the tourist wharf near to Dinh Huong Islet. The... Read more! 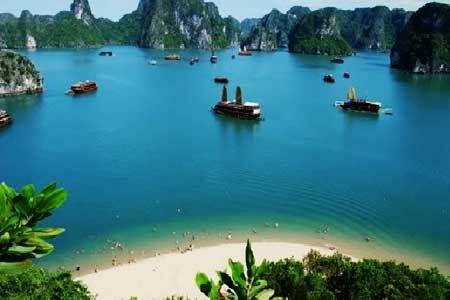 It is situated on the south-west side the bay, 4 km from the wharf outside of Halong city. 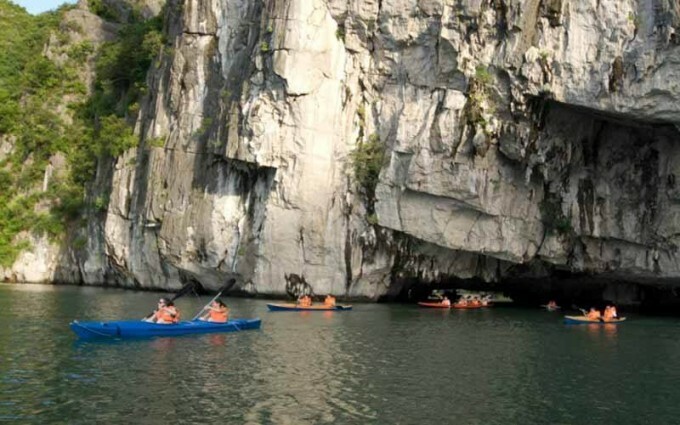 The way to Thien Cung is a perilous one, covered on... Read more! 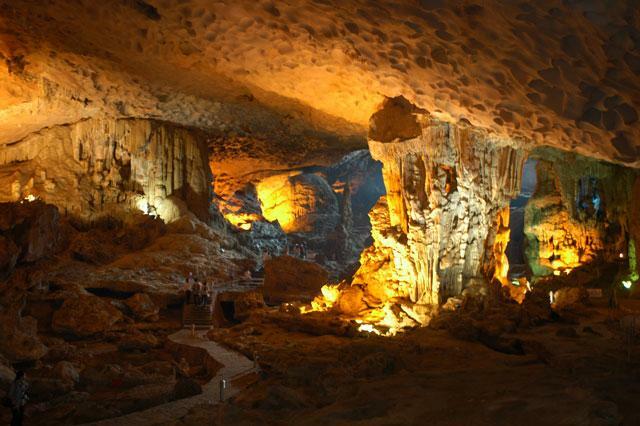 Kim Quy Grotto or Golden Tortoise Grotto is situated on Dam Nam Islet, with a peak 187 m above sea level. Dam Bac Islet is in the front of the... Read more! 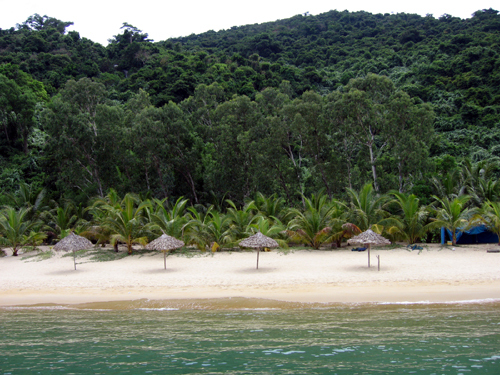 Some 14 km east of Bai Chay is Ti Top Beach, which takes the shape of a crescent encompassing the island. Small though it might be, it wins kudos... Read more! 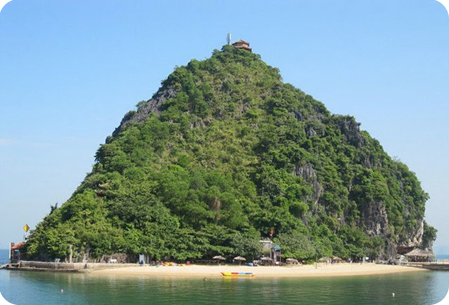 Ngoc Vung is one of the offshore beach which is still kept pristine and unspoilt. Situated to the south of Ngoc Vung Island, some 34 km southeast... Read more! 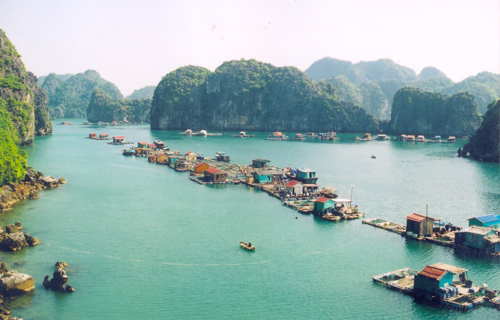 Situated on the south-west side of Ha Long Bay, Ba Ham is found on Calf Head Island in Lan Ha Bay. This island is part of the range of islands at... Read more! 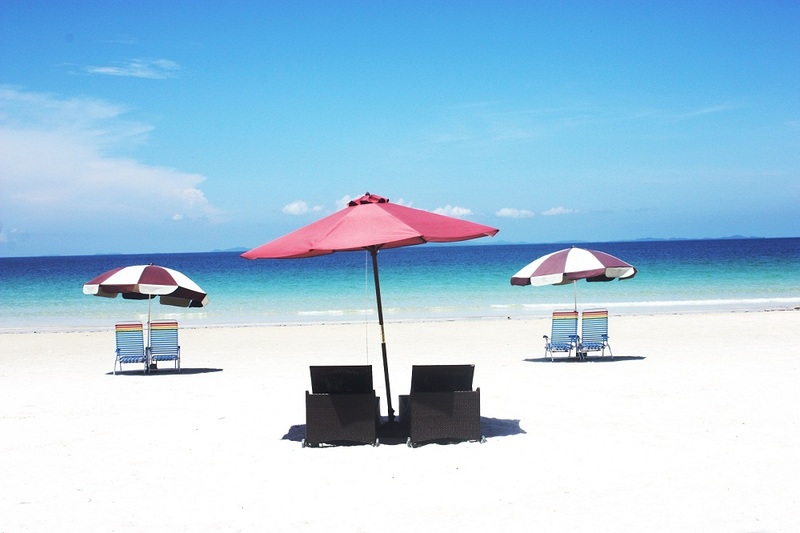 Situated 15 km from Quan Lan Beach, the famous Minh Chau Beach is proud of its white sand which do not stick to one’s foot. Visitors can go to... Read more!